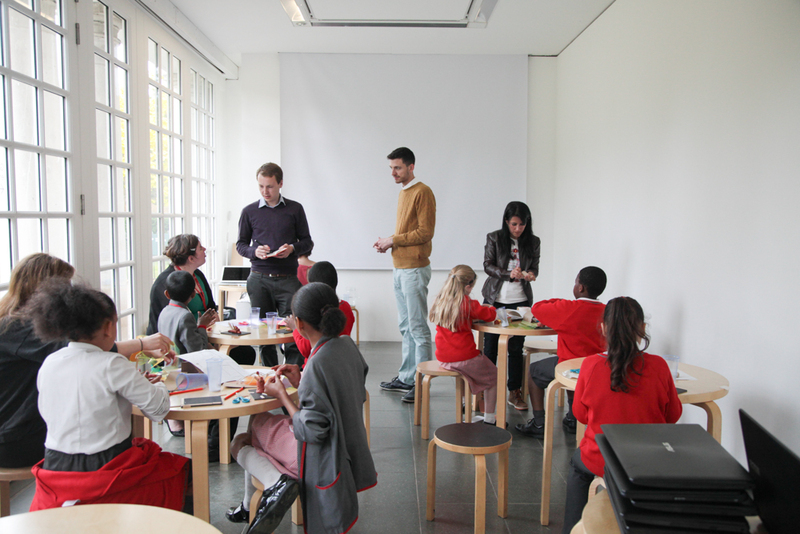 On Tuesday 9 June students from the Ark Academy came into the Serpentine for the first ever Build Your Own Pavilion workshop. Workshop leader Dejan Mitrovic worked with Jaden, Sarah, Kylah, Kyla, Shathuryan, Amal and Ashley as they designed and built their own Pavilions. The workshop started with a brainstorming session, followed by sketching out ideas – including a snake Pavilion and even a Pac-Man one! – and then putting these drawings into a 3D CAD programme. 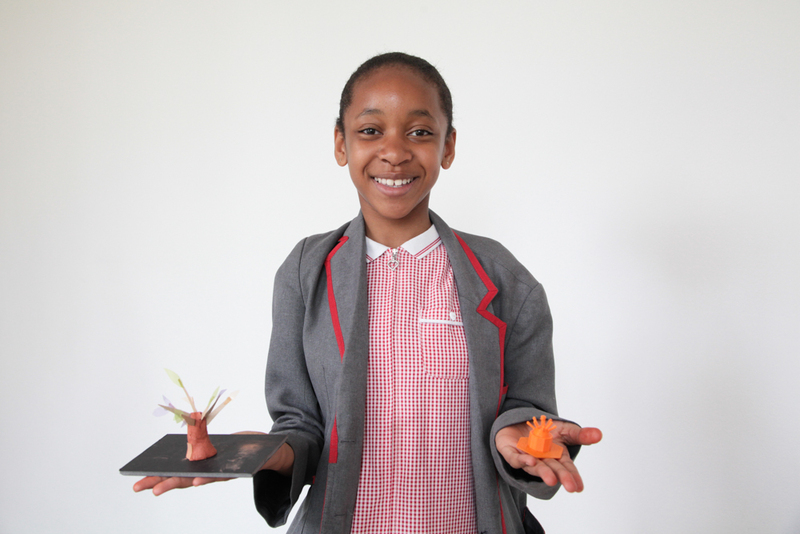 Kyla’s 3D CAD design – a treepod Pavilion with a slide at the back – was chosen by the group to be printed as a three dimensional solid object, or 3D model as it’s known in the biz. Next up was the model building where everyone got to see their designs in 3D. 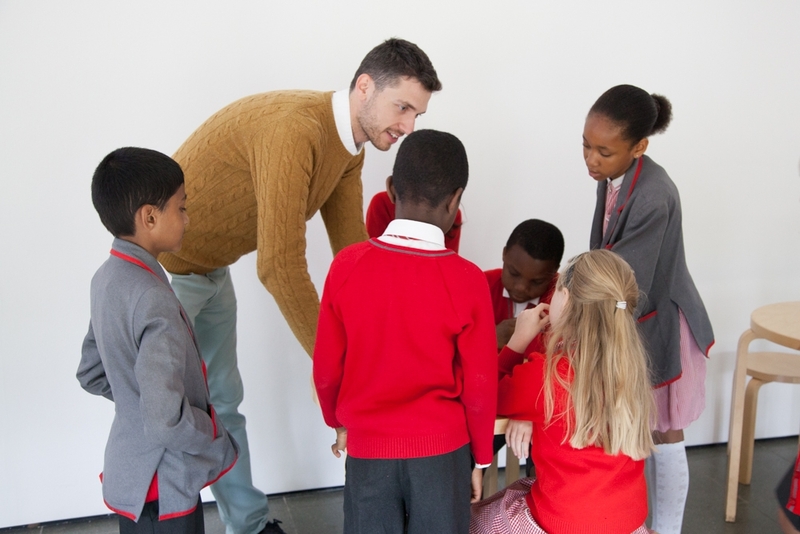 The group was invited to choose from a table of possible materials including foam board, plasticine, coloured acetate, wooden sticks, string, paper and felt. They then started putting their models together coming up with totally unique ways to build their Pavilions, including putting the sticks in the foam board to create different levels, fixing acetate to plasticine structures with glue in order to change the colours of their buildings and using paper to create curves, doorways and windows. An hour later and seven Pavilion models – all completely different, all equally imaginative – from seven young architects were lined up next to each other. You can see them on the ‘Your Pavilions’ page. So what do you need to build a Pavilion? “You need imagination and an original idea”, Sarah said. What will you need to build yours?